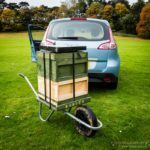 When I moved to Fife this summer I didn’t have space properly arranged in advance for my bees – poor planning I acknowledge, but there were quite a few other things I was juggling with at the time. 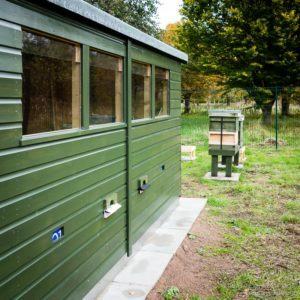 The garden at the new house was just about big enough for a bait hive but I had a number of offers from friends and I had a plot provisionally agreed for my research apiary. 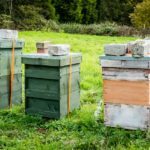 However, until these various sites were ready I accepted a generous offer from my local association to ‘squat’ in one of their shared apiaries. 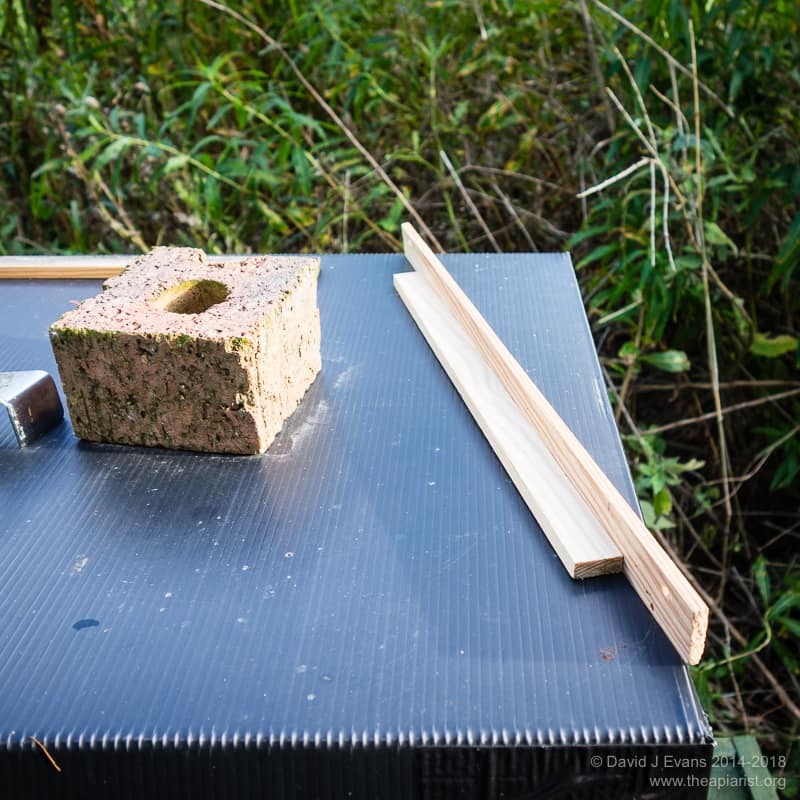 This worked very well … I dumped the majority of the hives and nucs early one morning after driving up overnight in mid-July and pretty-much left them to it. 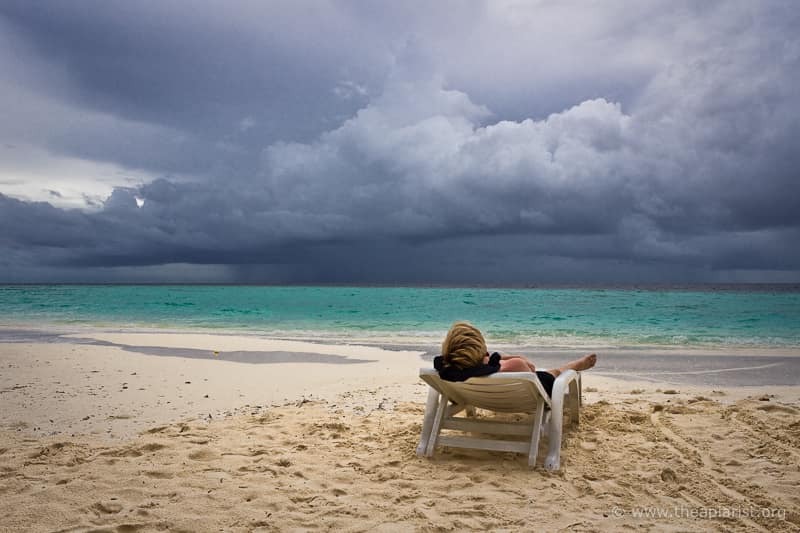 The weather in July was very poor, but August picked up considerably. 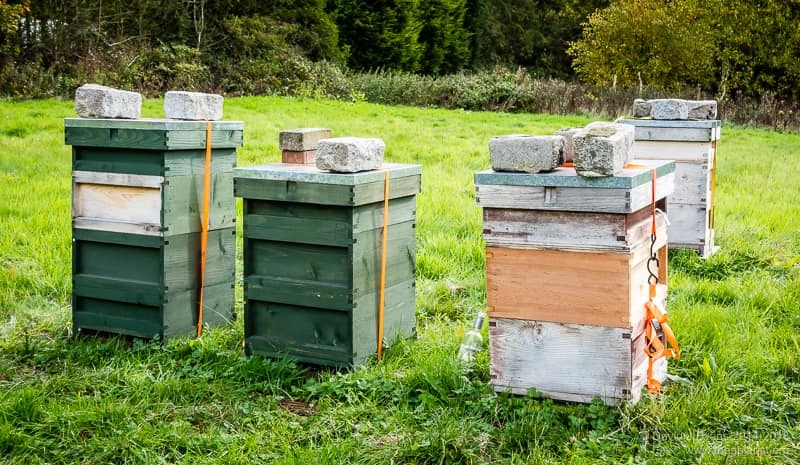 In the intervening period I had to move a few nucs up to full size boxes, I treated for Varroa by OA vaporisation and I fed them up for the winter on fondant. I even got a small amount of honey from a couple of the colonies during a good flow in August. In the meantime I prepared other apiaries, in particular the space for my research colonies. This included a “bee house” – a substantial shed with holes cut in the wall – in which some colonies were to be housed. As an aside, the majority of my hives have so-called underfloor entrances, which are sometimes called kewl floors, in which the aperture is a very narrow slot. 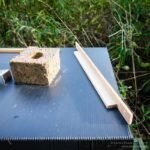 The easiest way to securely seal these is to make a simple ‘L’ shaped block from softwood, nailed or stapled together, with one piece of wood a full 18″ long (i.e. spanning the full width of the National hive). This can be simply slotted into the entrance and held in place with a couple of short screws at either end … totally secure and foolproof. These are also useful when using OA sublimation, and are certainly faster and more secure than using a hive tool to wedge foam into the entrance. And that’s more or less the end of the beekeeping year as far as I’m concerned. I have a few more hives to move and a couple of nucs to squeeze into the bee shed. After that it’s just a case of jarring some honey for Christmas, making another batch of mead, reviewing the season and planning for 2016. 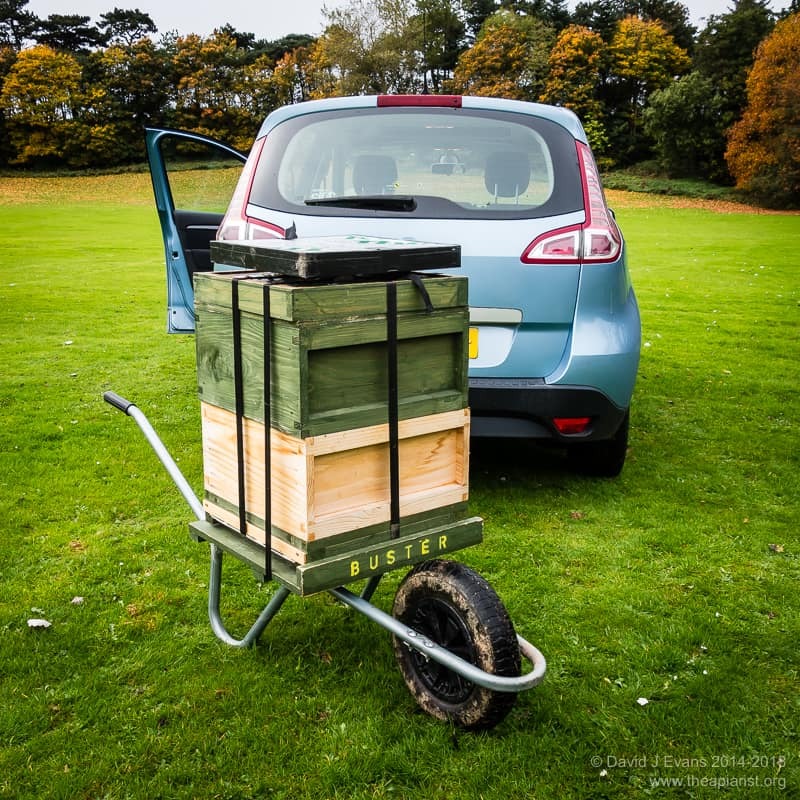 This entry was posted in Beekeeping, Moving colonies and tagged bee shed, winter on October 30, 2015 by David. Thanks Ray. 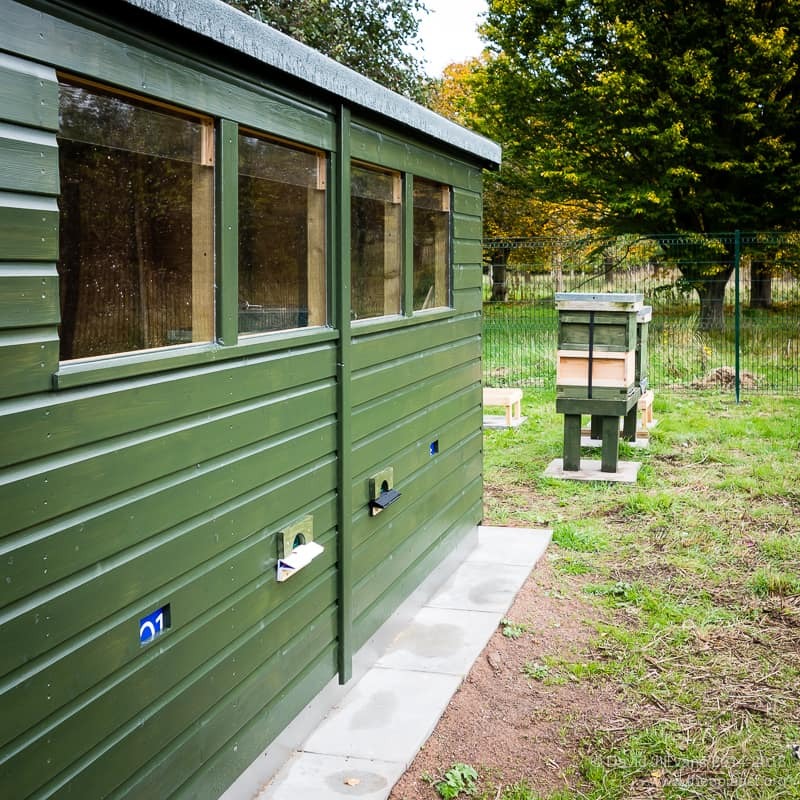 I’ll write something about the bee shed over the winter, though we won’t know whether it does what we need for a season or so. We’re learning all the time and have been helped by people with a lot more experience from the SBAi forum. Please say hello to my friends in WLBK.